Soap that not only cleans well but also nourishes the skin is a promise many make but not many soaps can keep. 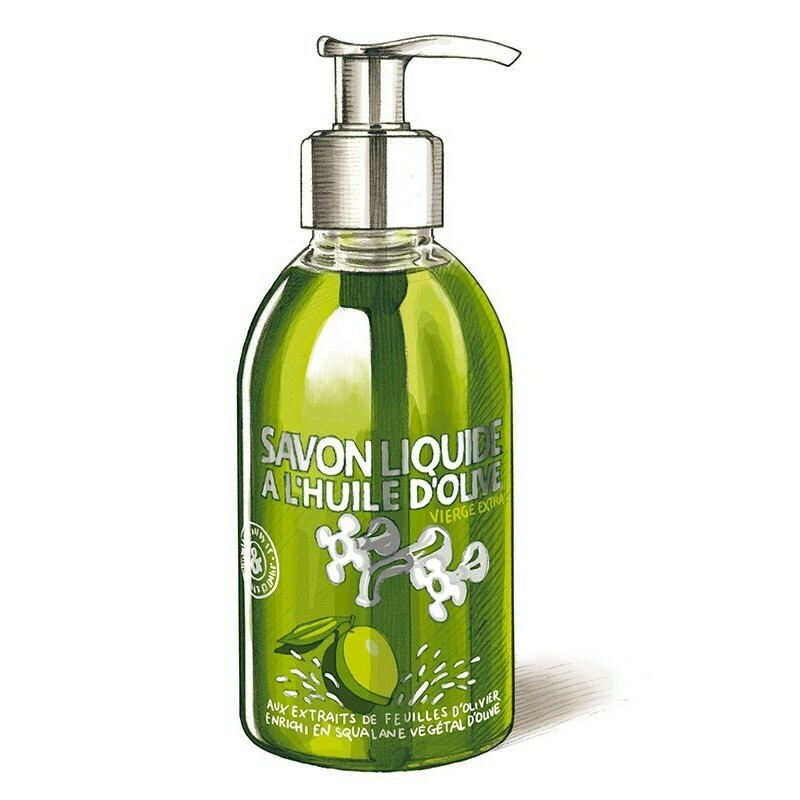 Une Olive en Provence liquid soap can be used all day without drying skin, its non-aggressive formula is gentle, soothing and repairing. Obviously, this delicately scented liquid soap is also highly biodegradable and environmentally friendly, and is packed in a handy pump dispenser that can be refilled from the jumbo refill bottle.